This bouncy, interactive French children’s song, performed by Marie-Louise Desage, teaches French numbers from 1 to 10. The video clip appears in Whistlefritz’s video ON VA JOUER. The song is from Whistlefritz’s CD ALLONS DANSER! Song “LES DOIGTS” from the Whistlefritz CD ALLONS DANSER! Video from the Whistlefritz video ON VA JOUER. Plus cinq petits doigts, dix ! This high-energy, big band version of the traditional French children’s song is an engaging way to teach French words for parts of the body. 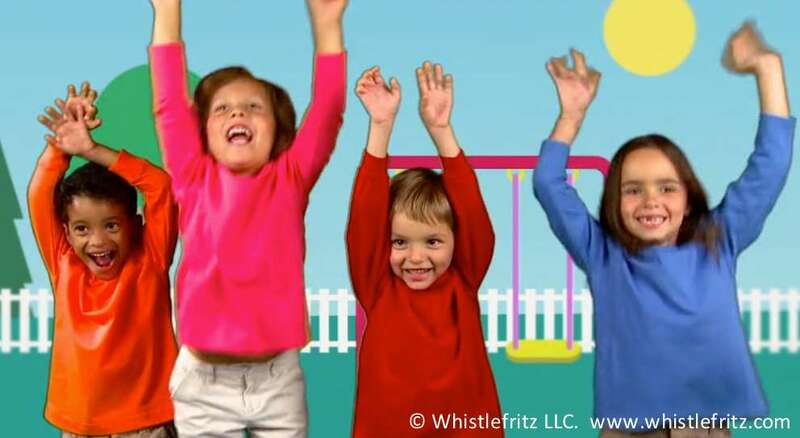 The video clip appears in Whistlefritz’s language immersion video ON VA JOUER. The song is from Whistlefritz’s CD CHA, CHA, CHA. Song “SAVEZ-VOUS PLANTER LES CHOUX” from the Whistlefritz CD CHA, CHA, CHA. A la mode de chez nous. On va chanter! (Let’s sing!) On va danser! (Let’s dance!) On va jouer! (Let’s play!) 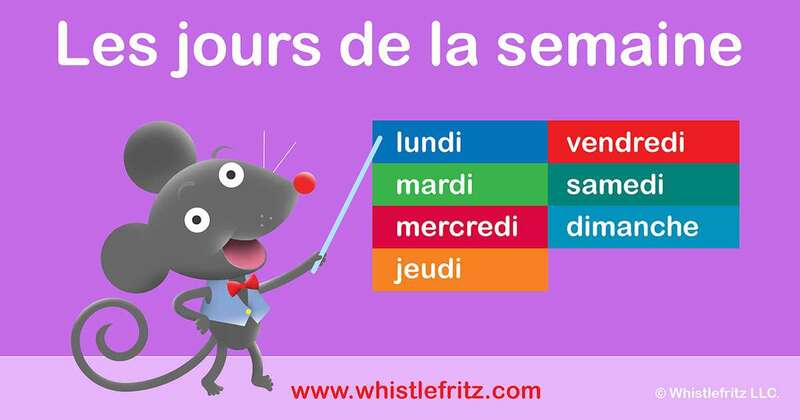 This interactive French immersion program is non-stop language-learning fun from Whistlefritz, the producers of the award-winning French for Kids and Spanish for Kids series. 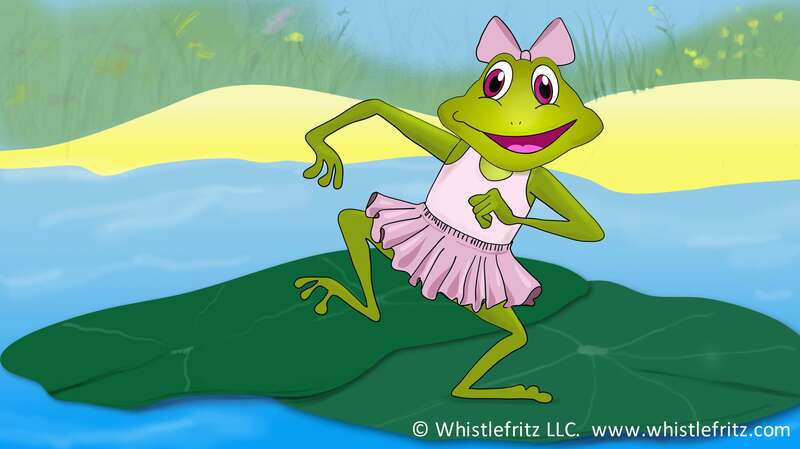 With the help of Fritzi the mouse and a playful group of peers, Marie introduces vocabulary related to different parts of the body. And what better way to get those body parts moving than with delightful sing-along, dance-along songs, including “Heads, Shoulders, Knees and Toes” and familiar French folksongs with exciting new twists. From le chapeau (the hat) to la chaussure (the shoe), kids will love trying on their new French vocabulary for clothes in playful, interactive skits. ON VA JOUER entertainingly combines colorful illustrated backgrounds, live- action, and 2-D and 3-D animation. Friendly characters and abundant humor make learning a new language as much fun as play time. Vous êtes prêts? (Are you ready?) On va jouer! This video includes an easy-to-use translation guide for parents and teachers who are first time learners of French, as well as French and English subtitles. Designed for children ages 1-7, ON VA JOUER is fun for all ages! Awards: Named “DVD of the Year” (2015) by Creative Child Magazine. Winner of a Parents’ Choice SILVER Award. Winner of a Mom’s Choice GOLD Award. Named one of the Best 10 Audio-Visual Programs of 2014 by Dr. Toy. Winner of a National Parenting Publications Awards Honors Award. Winner of a Mr. Dad Seal of Approval. Winner of a 2015 Brain Child Award by Tillywig Toy and Media Awards. Endorsed by KIDS FIRST! Recommended by Video Librarian. “À tes souhaits” is how you say “bless you” in French. 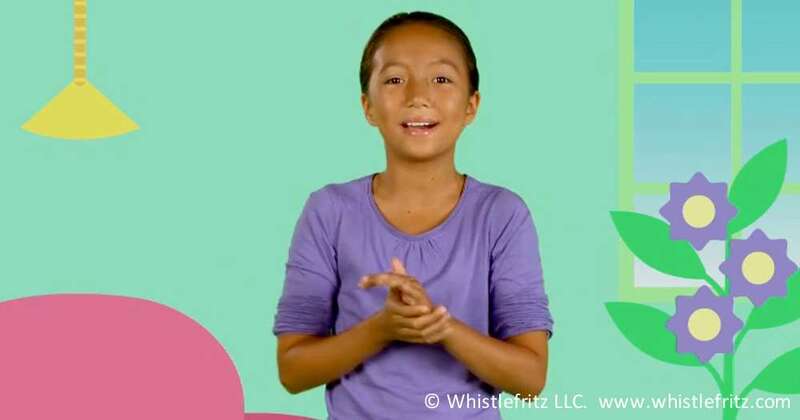 This funny scene from Whistlefritz’s video ON VA JOUER (Let’s Play) teaches kids the French expression for “bless you” as well as teaching different parts of the face through a hilarious skit involving a tissue. Kids will enjoy watching these scenes as much as our kids clearly enjoyed filming them!